As much as I love digital photography there are a few things film did better. 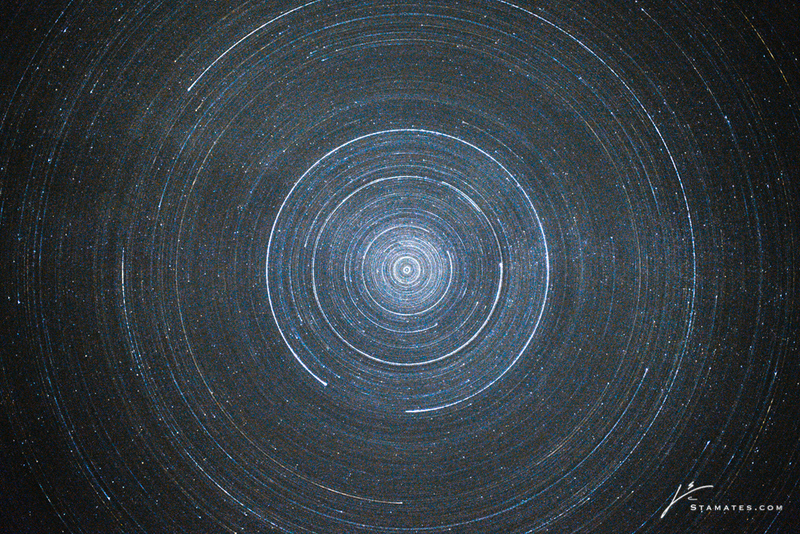 Star trails is one of them and the one we’ll talk about now. I call them Strails. With film you would set the camera on a tripod, use a long shutter speed in the range of several hours, which was easy as you could lock open your shutter with a cable release.You would need to position the North Star near the center of the image or in this case, just behind Flagpole Peak. Then process the film and hope for the best. You would have to adjust for reciprocity failure but you wouldn’t worry about battery life especially if you used a manual camera like the Nikon FM series. Houston, we have a problem…with digital cameras. Very long exposures cause extreme digital noise in the image. Batteries may need changing during the exposure unless you can use AC power. (hard to do if you are at a remote location) So one solution is to take many shorter exposure shots, around 20 to 30 seconds over an extended period of time. One right after the other. Then you use stacking software to stack all the images together. It can be done, I’m not too happy with the results I’ve seen. I used a 24mm focal length, f2.8 prefocused at infinity before the night shoot, than taped the focus ring so I wouldn’t accidentally move it. Exposure was 20 seconds at ISO 1600. Now the fun part. Instead of taking many images over hours during night time low temperatures, I placed the camera back on top of the tripod head with the lens facing straight up. Holding it steady I spun the ball head, which in turn spun the lens, for the entire 20 seconds. As you will notice there is a gap in one of the bright strails. That occurred because I didn’t go the complete 360 degrees. I goofed. But it worked out okay because I was able to place the mountain over the gap. Now I have a strails image that I can use with many different foregrounds. 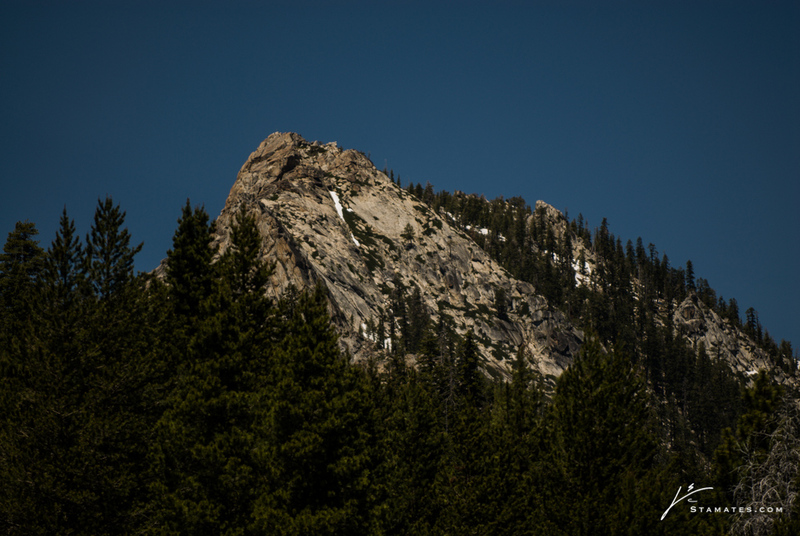 ￼The photo of Flagpole Peak was taken in 2006 with my first digital camera, a D200. As you can guess, it was taken at noon. I under exposed to give it a night time look without stars in the sky. ￼ ￼ To create the composite I put both images in Photoshop CS6. I dropped out the sky on the mountain image. Placed that image over the strail image, adjusted composition until I liked it, then cropped to a square format. The easiest way to practice this is to use a lens with a collar. 70-200mm works well. Mount the lens on the tripod with camera attached. Unloosen the lens collar screw so the camera spins freely. Use a long exposure and during the exposure spin the camera. Practice until you can spin smoothly during the exposure. Then go out at night and make Strails! 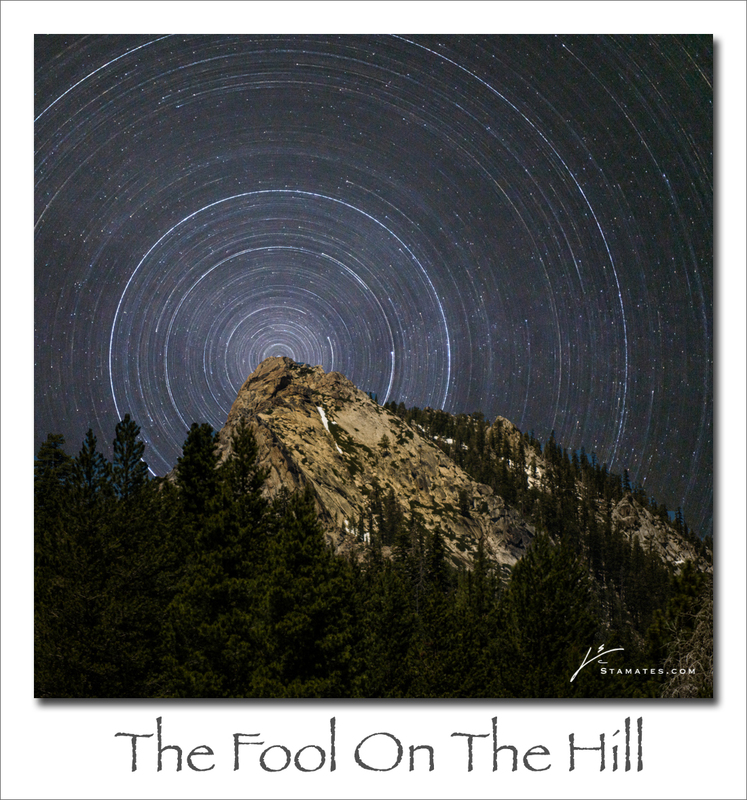 Once you have a good strails image you can look in your files for a good foreground or go out and shoot some new ones. Have fun.